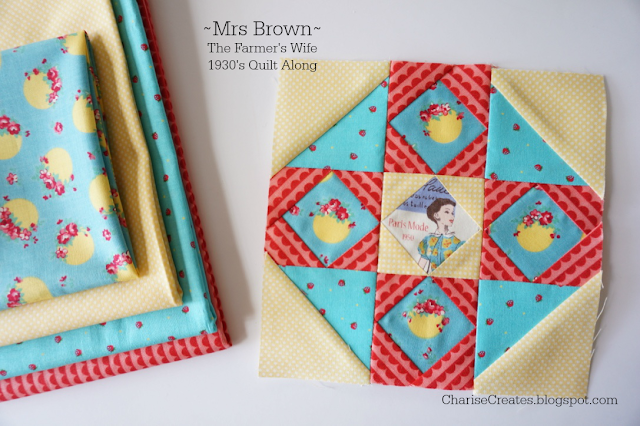 Hi and welcome to my stop on the Farmer's Wife 1930's Quilt Along hosted by Kerry of Very Kerry Berry. it has also kept me on track to have enough blocks to make a quilt at the end of the Quilt Along. I took this block quite literally and found a "lady" fabric from Suzuko Koseki. 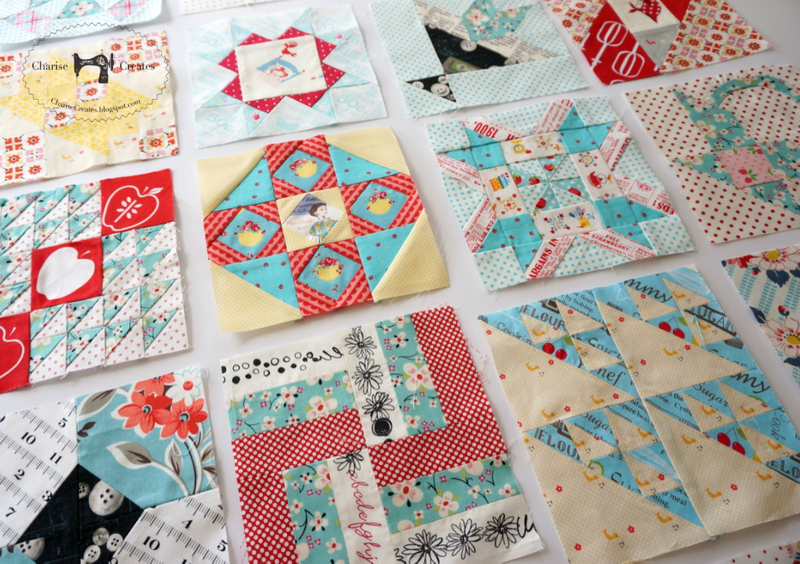 I love to search my fabric stash for the perfect fabrics - my favorite part of the block making process. The yellow dot is Lecien Basic Micro dots. I couldn't find that exact fabric, but Moda has a good yellow basic dot you can find on Etsy. Be sure to check out all the wonderful Farmer's Wife blocks on Instagram. Search for the hashtag #FW1930sQAL. And don't forget to label your blocks with the hashtag, too! This is going to make a beautiful quilt. 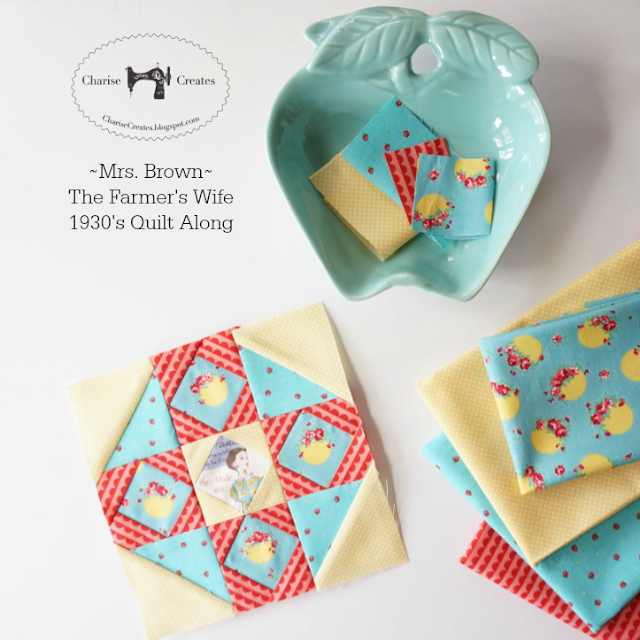 Love your new block and how you select your fabric for each block! Beautiful Charise, I knew there would be carefully placed, beautifully chosen fussy cuts, and there were! 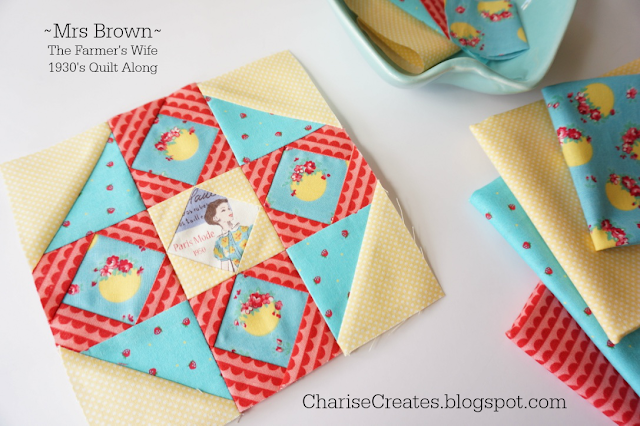 Another gorgeous block Charise. Your fabric choices are perfect.